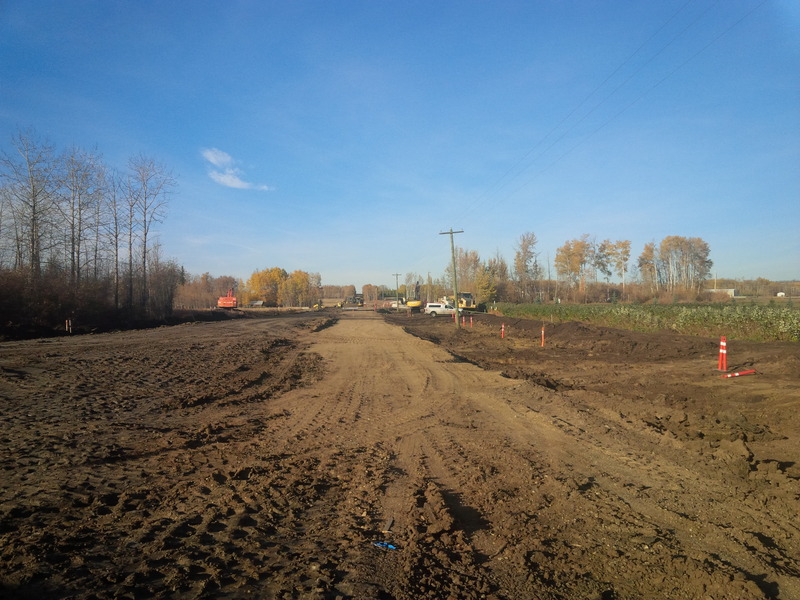 LNB was contracted by Genivar to widen approximately 4 km of range roads in Township 713, near Grande Prairie, Alberta. Prior to earthworks for this project, existing fencing had to be removed and new fencing installed at the new ROW boundary. Then a local mulching company was subcontracted to mulch all standing trees and brush to lessen the environmental impact on the neighbouring properties, with some of the timber cut into firewood for the locals. Once stripping of the topsoil was complete in Phase 1, the borrow material purchased from neighbouring farms was loaded by excavators and hauled by rock trucks to be placed and compacted while keeping roadways passable under the direction of traffic controllers. During the construction the road remained open for local traffic, emergency vehicles and school buses, with ongoing communication to locals for culvert installation on driveways. Phase 2 included the same scope of work but also included the installation of 4 Bridge Culverts which were co-ordinated with the environmental monitor once a fish study was completed. 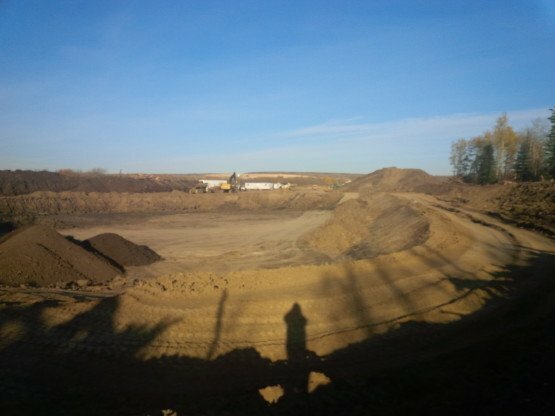 Once all the cut/fill and placement of borrow material was finished by utilizing GPS machine control, the project was ready for finishing touches. Rip rap was placed at the Bridge Culverts, general remediation and seeding was completed with no deficiencies after first inspection.